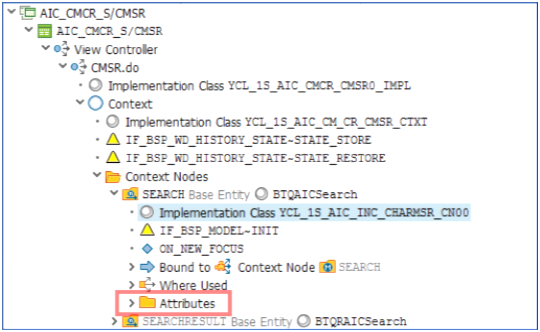 Since 2006 we use ChaRM to manage our SAP ABAP changes. But the dark side of our IT department, the infrastructure team, always successfully avoided the contact with it as well with SAP at all. Time passes and a new infrastructure boss decided that also the non-SAP fraction has to document changes by change documents. 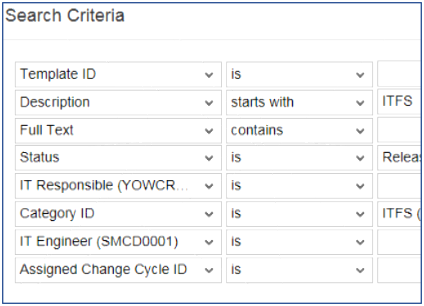 In order to mitigate this existential shock I customized a strongly simplified business role for my colleagues (“YSOLMAN_INFS“) and set up ready to be used Request for Change (RfC) templates (YMCT) with already initialized partners and the category id the infrastructure team owns (ITFS) and a scope assignment block with a ready to be used general change (YMCG), too. 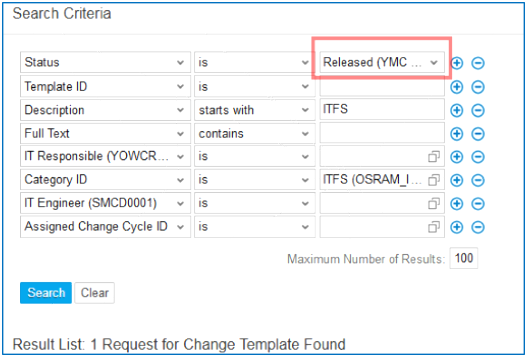 To avoid chaos we have a naming convention for the description of the RfC templates, and the templates of infrastructure teams should start with “ITFS“. The operands are set in the configuration. and here the initial value of the status “Released” is disturbing, because you may want to search for templates that are not yet released but in editing mode. So we need a switch. If in pop-up mode initialize also the status, else keep it empty. 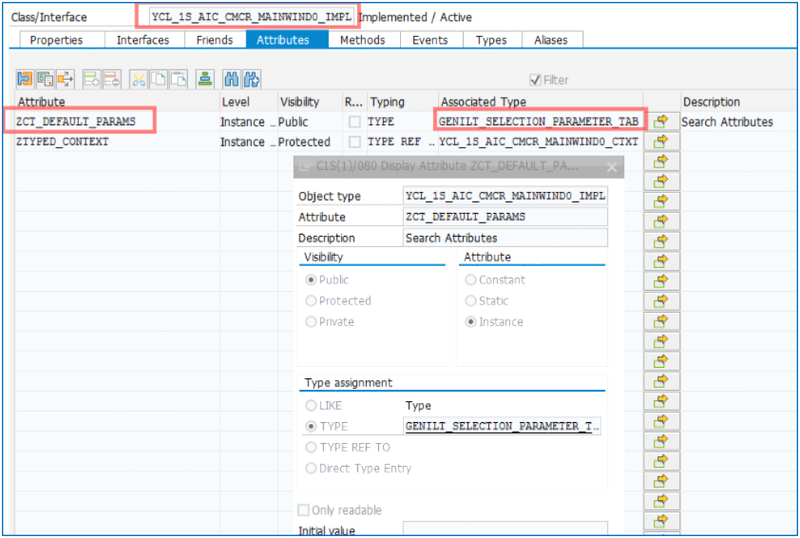 But how to check in the getter method if I am inside the search pop-up or not? I didn’t find a way. So I decided to initialize the pop-up from the calling side, where I definitely know that I am in pop-up mode. I deleted the row with the initialization of the user status and set out on my way to find the source of the rainbow. Where Is My PopUp Plug? First we have to find the way in the thicket of links and relations.There is a very nice blog from Ashish Walke explaining how to create navigation links, but here we have to go the reverse way, we need to discover how an existing link works. And with the help of our CRM guru Hendrik Beck I left layer seven where I usually move and lion-heartedly plunged into the deeper layer of the Web UI. Found! The component is AIC_CMCR_M (obviously naming convention experts would immediately look at _M components for _S components, but I wanted to show how the links work). 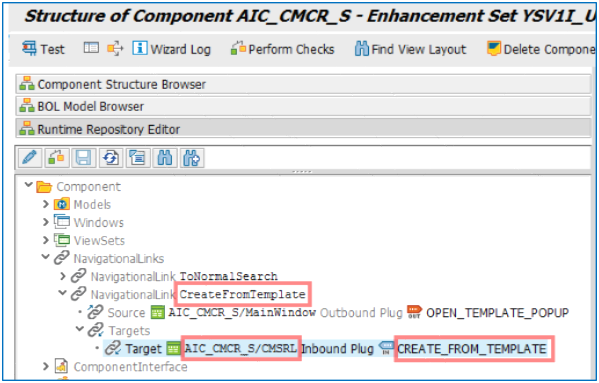 As the target is in another component, the navigation adds a ComponentUsage to the target window. This seems to be enough for our enhancements. Let’s go! 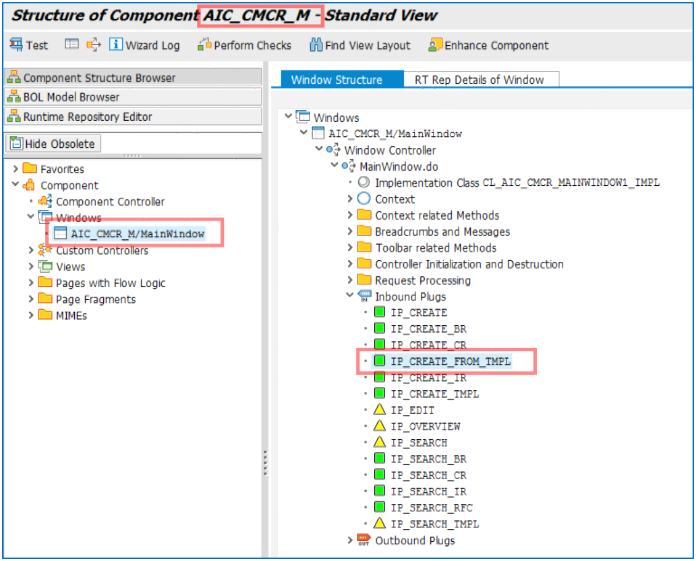 We open component AIC_CMCR_S in the component workbench and enhance AIC_CMCR_S/MainWindow. zct_default_params = VALUE #( ( attr_name = 'USER_STATUS_KEY' sign = 'I' option = 'EQ' low = 'YMCT:E0006' ) ). We don’t switch at the business role here because this use case is valid for all RfC template pop-ups: you shall always search only for released templates! 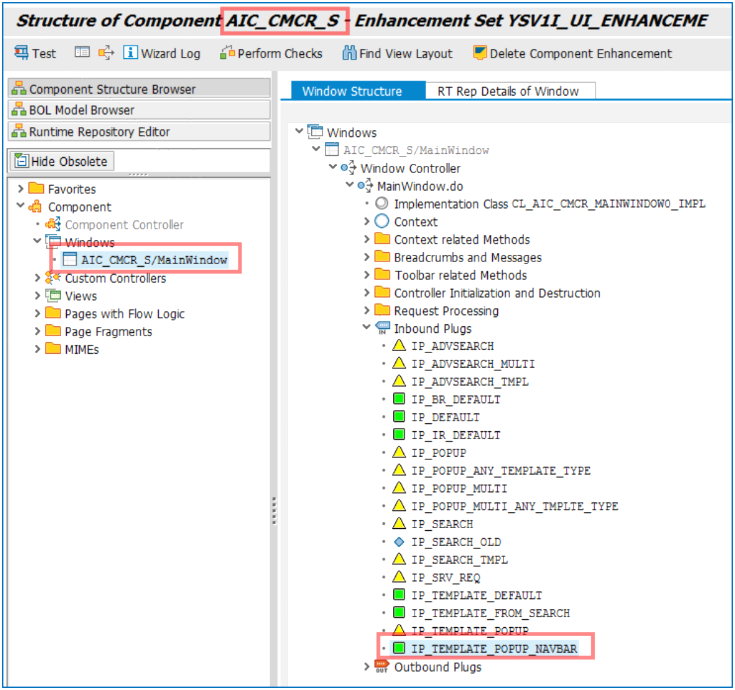 lr_parent_viewset TYPE REF TO cl_aic_cmcr_cmviewset_impl. 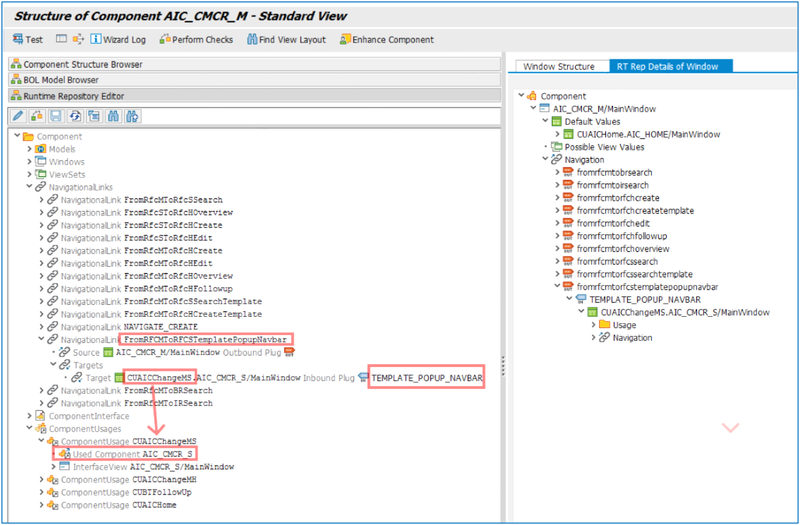 LOOP AT lr_parent_window->zct_default_params ASSIGNING FIELD-SYMBOL(<lf_param>). But big surprise! It does not work, the user status search attribute remains empty. 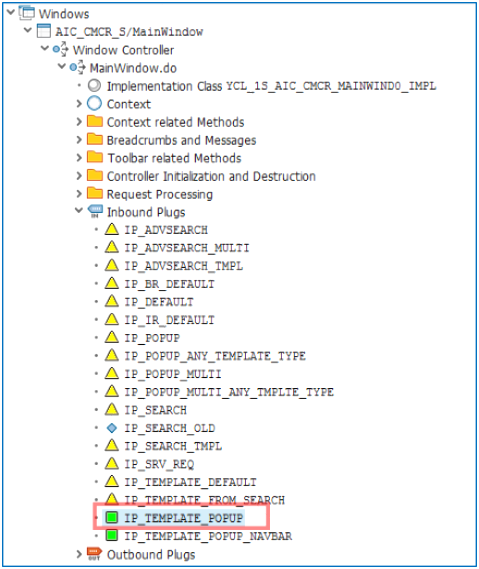 In the debugger we see that the zct_default_params table is empty. So what? Did you really thought we were done with the first inbound plug we found? The search window we enhanced is not yet the pop-up window, it will wait invisible in the background and become visible only if you cancel the pop-up. The pop-up window is a second instance of our class, so we have to find out which additional plug we have to enhance. 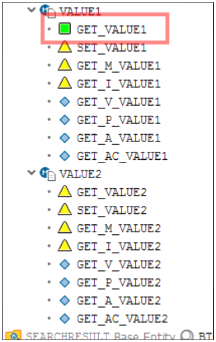 set_flags( iv_popup = abap_true iv_template = abap_true ). lv_title = cl_wd_utilities=>get_otr_text_by_alias( gv_otr_alias_for_template ). gv_template_search_popup->set_on_close_event( iv_view = me iv_event_name = 'TEMPLATESEL_CLOSED' ). We are done! 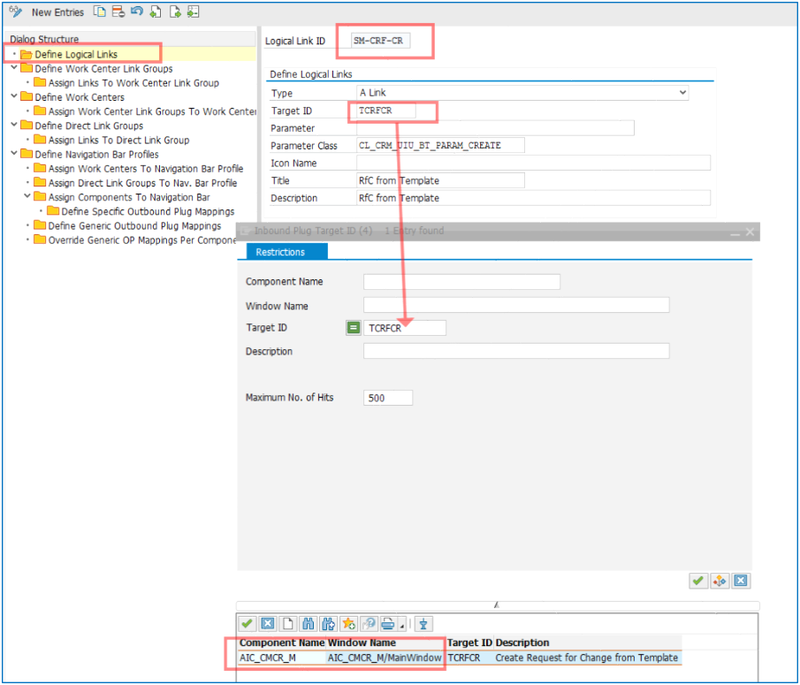 This time our do_prepare_output routine finds the default values and can initialize the search attribute for user status! And this happens only in pop-up mode.